'WA' in chalk with car number whitelined means the end of the road for this International of Maine Service boxcar. Although CPR cars these could not be used for domestic service in Canada... but they sure as heck went there to meet the end. So sad. 269300 WA = Waiting Angus (for scrapping). 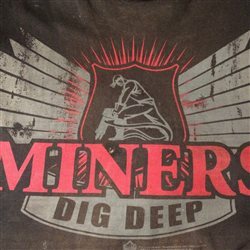 Hi Miningman! Any idea why it was going to the scrapper? Aside from not having roller bearings it looks perfectly serviceable to me, but then again pictures don't tell the whole story. Firelock-- No, no I don't know why. Thought much the same as you, what's wrong with it? Here is a pic of another in fine shape, 268911 built 7/52 yet has an earlier set of numbers as the 'WA' car is 269300, not the same series of cars though, but close. Cannot make out the build date on 269300. I can only speculate as to why ... another question is what the heck is it doing in Agincourt? That's Toronto... why would a CPR car based in Maine, being sent to Montreal, be routed via Toronto? The picture in Agincourt (Toronto) is 1983. The International of Maine Division service marking has not been whtelined so I'm assuming it still cannot be used for domestic service. Try to explain to someone back then that the entire Maritime operations of the CPR is no more and that the mighty CPR truncates at Montreal they would think your insane. 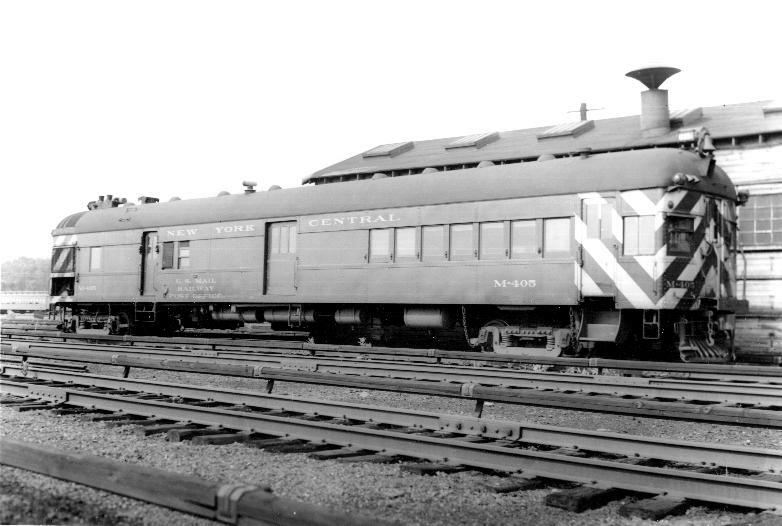 International of Maine Division cars could not be used in Canadian domestic service. Any idea why it was going to the scrapper? The caption shows the picture was taken in 1983. So it would be easy for a steel boxcar to have reached the 40 year maximum in effect at that time. So shovel the coal, let this rattler roll. another question is what the heck is it doing in Agincourt? That's Toronto... why would a CPR car based in Maine, being sent to Montreal, be routed via Toronto? 268911 could be loaded with a "Product of Maine" and be sent anywhere in Canada or the US. The emptied car sent to the US could be reloaded and sent to any other US or any Canadian destination. In the US this car could bounce around anywhere on its' way back to Maine, given US interchange rules. Once this car reached Canada however, it could only be sent back empty to Maine. Maxed out at 40 years? Yes, that would make sense. However, that 40 year rule would only make it unusable for interchange with other 'roads, by American regs anyway, Canadian regs I'm not sure. It could still be used assuming it never left home rails. On the other hand, it might have just been easier for the CPR to say "The heck with it" and scrap it. The reason CP had to letter the cars "International of Maine Division" is they were American made. CP did not pay Canadian excise tax on them, which is why they could not be reloaded in Canada. You don't pay the tax, you can't earn profit. That first picture has me confused though, that car looks as Canadian made as any car I saw go by the station back in the day. The 268911 is a Pullman-Standard product. 268911 built 7/52 is only 31 years old. When the pic of whitelined 269300 was taken, and that has a higher number so can we assume later than 7/52? Well something is wrong with 269300, perhaps if time allows I can do some detective work. I suppose it's an anology for all of us...one day we ourselves will be whitelined and chalked up ' W?' Waiting for Godot? 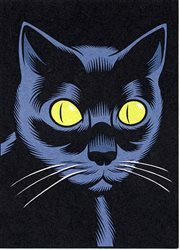 WG...'WB' waiting for burial, WRW waiting for reading of the will! Oh well, 269300 will be there. The thought just hit me, we're only seeing one side of 269300. I wonder what the other side looks like? Damaged by a sideswipe or ramming beyond economic repair? Burned? Who knows? It's a mystery. There had to be some good reason for scrapping it. Thinking you are on to something there Firelock. The car in question 269300 was in a series of 500 built between 12/52 and 2/53. They are listed as being in service until Jan. 2000. So something happened to 269300 as it was scrapped much earlier than Jan 2000. We cannot see the other side as Firelock states. 268911 was in a series of 300 built 04/52-07/52 and also lasted until Jan 2000. So this series was built a bit earlier than 269300 was, as suspected. Both series of cars were built by Pullman Standard in the USA. Sorry 'bout that Agent Kid but I'm sure CPR's orders were very much standardized wherever they were built. A car built to CPR specs would look the same whether it came from National Steel Car in Hamilton or Pullmam Standard stateside. So we are left with the mystery as to what is wrong with 269300! Those car manufacturers sure could crank them out... that's a lot steel, welding and riveting and a lot of cars in a short period of time and I'm certain CPR wasn't their only customer. 800 boxcars just for International of Maine service and just one road. I'm sure the CPR was not the big dog in Maine. Amazing how far New England railroading has collapsed. While the CPR marked equipment for scrapping 'WA' for waiting Angus the CNR simply used 'D' for destroy. My Railroad would be 'TWR IDAD' .. treat with respect, its days are done. 56483 flanger waiting scrapping along with other equipment marked D (destroy). What is wrong with it? Most likely nothing, but its design was obsolete by the 1980s. 40 foot cars and boxcars in general declined starting in the 1960s, but of particular note here is this car's very light weight limitation, under 177,000 lbs. By the 1980s the standard maximum car weight on most routes was 263,000 lbs (since increased to 286,000). Lighter freight traffic tends to be more time-sensitive stuff, and shifted to intermodal during this time period as well, today the vast majority of remaining boxcar traffic is really heavy stuff like lumber, pulp and paper. 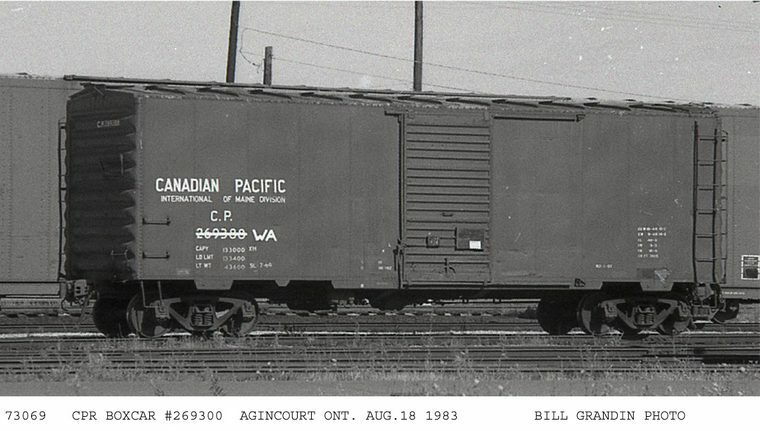 By the 1980s the only service requiring a car like this would be on weight-restricted branchlines, and by the 1980s most of those were in western Canada and only shipped grain. An Internationl of Maine car with those shipping restrictions could not be used in prairie grain service to any of the western Canadian ports. The world changed as time marched on, and put these cars out of a job. Any 40 foot boxcars remaining in 2000 would most likely be OCS equipment, only used on work trains or for storage. Even today CP still has a few, I saw one just last month east of Edmonton, in Red with Multimark instead of the script or block lettering. They weren't necessarily based in Maine. CP used the International of Maine Division in order to acquire cars for US domestic service. Their first order or two of 60' auto parts boxcars also had International of Maine lettering and they were assigned for loading in Michigan or Ohio and probably never got anywhere near Maine in their lives. Later CP introduced the CPAA reporting mark for all US domestic equipment. but I'm sure CPR's orders were very much standardized wherever they were built. A car built to CPR specs would look the same whether it came from National Steel Car in Hamilton or Pullmam Standard stateside. Not really - the Pullman-Standard boxcars are quite distinctive (beyond just the extra International of Maine lettering) and there's actually quite a bit of variety between car series if you're really familiar with CP's roster (same overal specs and dimensions are the same, but different combinations of door, end and roof stamping patterns depending on the builder). 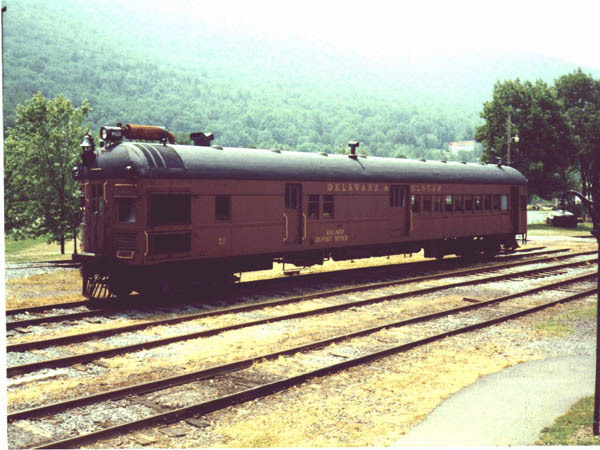 The 8' door boxcars built in the early 1950s in particular you can pretty much ID the builder just by looking at it based on the door/end/roof parts used and weather the car body panels are riveted or welded. 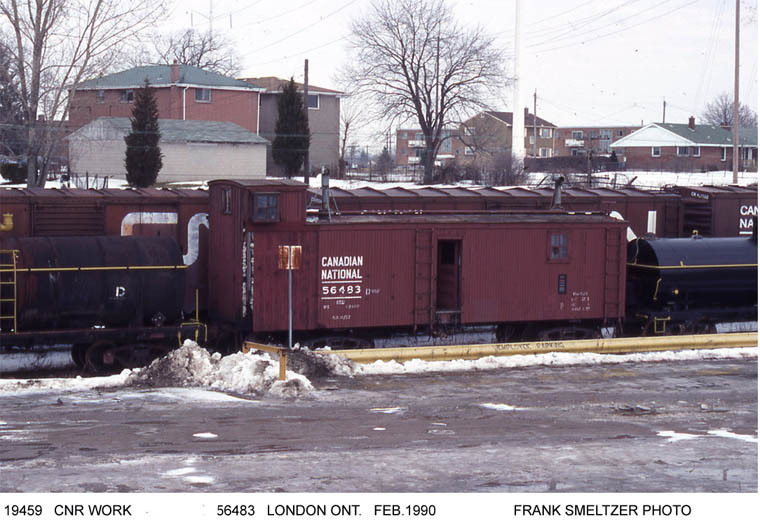 There were four different builders (including one or two batches built by one of CPR's own shops) and at least eight or nine unique combinations of features. I worked with a good ole boy in Texas who hated his in-laws so much when he'd go home after switching box cars on the first trick in ATSF's East Dallas Yard and saw their car parked in the street would shout as loud as he could when he walked through the front door: What the hell are they doing here again? He always said if he lost his wife and considered holy matrimony again he'd make darn sure the lady in question was an orphan before he'd pop the question. RIP to all the 40 foot box cars that were scrapped and not saved to be donated to railroad museums. They served their owners faithfully and never complained about the commodities that were loaded inside their walls of plywood...or perhaps they did? Imigine you're a switchman and couple up to a box car spotted at a slaughter house that's loaded with cowhides. If you ever switched such a car under the hot Texas sun on a July afternoon when the temperature is reading 120°F in the shade and could hear it weeping and lived to tell about it then you're a better man than I am! Believe me, it's something short of a divine miricle that I'm here to tell this story today because it happened to me more than once thus consider myself a Survivor! Such an experience can best be described in one dirty four letter word: YUCK! I attended a NMRA National Convention in Houston and never experienced humility like that. Blistering hot and so humid just looking at a pool make me nauseous.. the last thing I wanted to do was get more wet. Got to be hard on the folks, don't know how you do it. Of course they say the same about us far Northerners .. so cold and dry. Well, I was young and in my prime when I switched for SSW and ATSF in Dallas and Ft. Worth in the 60s and 70s. It wasn't humid in North Texas like it was on the Gulf coast but was a dry heat. It still got pretty darn hot between rows of box cars when you had to switch out a bad order that was always located in the middle of a cut of cars and never first out. I knew a former Canadian National car inspector on the Texas & Pacific who was employed in their E. Dallas Yard (near the old Age of Steam railroad museum in Fair Park) who hailed from Winnipeg. He told me he moved to Texas to get as far away as he could to avoid those harsh Manitoba winters found in that part of Canada. 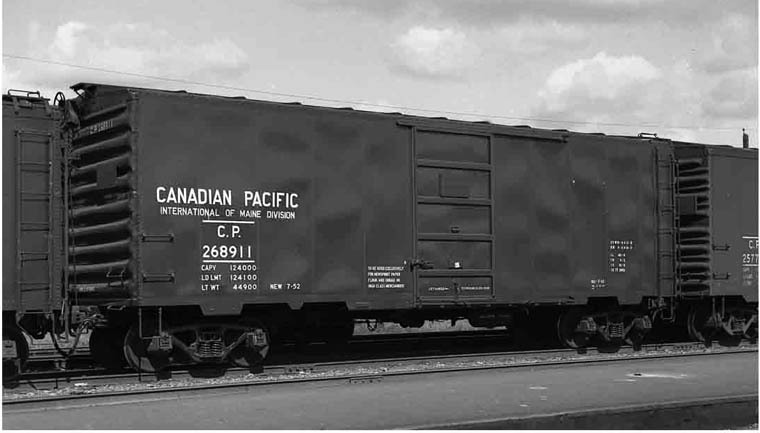 Did any Canadian Pacific 40 foot box cars that were on the International of Maine Division roster find their way to museums? I would think the car may well have damage on it's far side, or damage to Draft Gear underneath? Is that a Bad Order tag on door?? Another story around was that, when a car became Bad Order, or Life Expired, they would put just a ' W ' on it and that meant it's destruction was ' Pending ' authorization from Higher Authority and car to not be used. Once Approval was sent down from On High, the ' A ' would be appended, and off it went for Scrap. Some cars were just ' WA'd ' right away. Main Shops @ Ogden/Calgary, Weston/Winnipeg and Angus Shops/Montreal each had large ' Reclaimation ' areas with overhead cranes and work force that JUST cut up WA equipment and ' Reclaimed ' their Metals and reusable components. Angus once had a large Passenger Car Shop w a 80 foot transfer table that appears in many of the old Company photos of Passenger Stock. As set up for it, Reclamation scrapped steam and, later Diesels. I was @ Reclamation @ Calgary about 40 years ago looking at the the OPs there awaiting their turn. A Steam Pile Driver and it's tender was in to be cut up, they had not started yet, and in under the overhead traveling crane was a PILE of Safes from Agencies in Stations where once Tickets, Money Orders and other Company Services required CASH for Transactions. The old safes were left in place in many of the OS Office Stations thruout the System long after Agencies closed and Psgr Trains cut off. The story was that a bunch of robbers arrived at a remote OS Station in the middle of the night and DEMANDED the Telegrapher OPEN the safe. It had been there for years, the Company Cat slept up there on a rug basking in the Bay Window, OSing trains by and getting petted by the Wyft Crews and Section forces. Finally, the DS Rang down the line, scaring off the bad guys who roared off in a truck. Someone woke up and said those Old Safes are a target, and lo and behold a Burro Crane and a Gon rolled down the Subs and removed the safes, Station by Station into the Gon thence to the Main Shops @ Ogden into a pile. We toured Angus Shops in Fall of 1962 and they were cutting up CP 9003 and 9005, Gas Electrics just taken off the Fredericton NB train. We saw them in-train bound for Angus on the Transfer a week before. Fredericton was the FIRST Provincial Capitol to lose it's Passenger Service and a BIG CRY went up. Boo Hoo, et al. Here we go again, see below. Too bad about those gas-electrics, they'd have made a nice addition to a museum or tourist 'road. Smart move, playing it safe and removing the safes, better for all concerned. Forget the stuff about criminal masterminds like "The Joker," "The Riddler," "Professor Moriarty" and all the other fictional bad guys, the average criminal is an idiot. He sees a safe and thinks "money." If doesn't matter if the dust on it is an inch thick and there's rust all around the door. As one veteran cop told me, "I've been puttin' cuffs on bad guys for thirty years and I never met one who was carrying a 'Mensa' membership card!" Thank you NDG. I have never heard a first hand witness account of a funeral procession and then cutting up of any CPR gas electrics. I saw my share of funeral trains of steam locomotives and it's a sight that is permanently in your noggins hard drive. Many locomotives and passenger cars defined the CPR with their high standards of appearance and that in turn defined railroading for many of us and those gas electrics were right up there. They were unique, colourful, beautiful and functional and most of all they looked the part of what a railroad was. I'm saddened to hear their fate, hoping and wishing for some sort of common sense decency intervened and they reside in some nice old dedicated railfan's hideaway being as carefully and meticulously looked after as the CPR did. Of course I do know that didn't happen any more than the Archangel Michael descended and decreed that they shall not be destroyed. ...and Firelock is correct. Hollywood glamorizes theives when in reality they are not very smart and usually violent, a dangerous combination. So thanks to NDG re the story of the safes across the land in CPR stations. Here is a photo of CP 8917 @ Reclamation. Only the TRUCKS give it away. This NYC Gas Electric and a trailer went from Third Rail Land to Matane, Quebec on the Canada and Gulf Terminal, and then went back to USA. Early View CN 8700-8702 Turcot West. Still has Coupler Shroud. A deconstructed Trainmaster... I'm not sure what I'm even looking at. What a ignominious ending. Such is the fate of all things man made I suppose. These machines that served us well and were carefully designed and maintained we see as an extension of ourselves in many ways. The appearance and look reflect society at a specific time. Grey and Maroon, Block Lettering. Beaver logo.